Whole Foods Market’s global buyers and experts revealed the most anticipated and innovative food trends for 2019 in their fourth annual trends predictions announcement. Pacific Rim flavours, eco-conscious packaging, faux meat snacks and new varieties of hemp-infused products are among the food influences expected to take off in the next year. The retailer’s seasoned trend-spotters thoughtfully compiled this report based on more than 100 years of combined experience in product sourcing, studying consumer preferences and participating in food and wellness industry exhibitions worldwide. Flavour inspiration from the Pacific Rim (think Asia, Oceania and the western coasts of North and South America) are popping up in grocery stores and restaurants as people continue to explore more of the world through their palates. Ingredients like longganisa (a Filipino pork sausage), dried shrimp, cuttlefish and shrimp paste are on restaurant and home menus that span from breakfast to dinner, while vibrant tropical fruits such as guava, dragon fruit and passionfruit are making their way into colourful smoothie bowls and cocktails. Jackfruit is a popular meat alternative already being used in place of items like barbecue pulled pork, while an extract of monk fruit, an ultra-sweet-tasting fruit also known as luo han guo, can be used as a sweetener replacing added sugars. Back in 2017, our experts predicted the naturally occurring probiotics in fermented foods like kimchi and “pickled everything” would blow up the food world. In 2019, expect even more innovative probiotic integrations in food — and not just in the supplement or refrigerated aisles. New strains of probiotics such as Bacillus coagulans GBI-30 and Bacillus coagulans MTCC 5856 are making more shelf-stable applications possible. Wellness-focused brands are making it easier to get more probiotics in your day by adding functional probiotic ingredients to your pantry staples through products like granola, oatmeal, nut butters, soups and nutrition bars. Another unexpected place shoppers can find probiotics is in the cleaning aisle with brands like Counter Culture Probiotic Cleaning Tonic, an all-purpose cleaner that utilises probiotic cultures and essential oils. Even beauty brands are including pre- and probiotic-based ingredients through sunscreen and other topical body care. Fats are making a comeback, and the trendiest diets are on board. 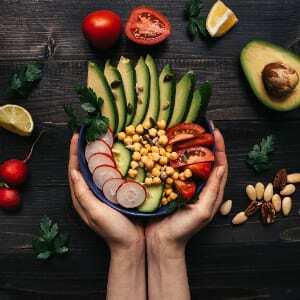 With the rising popularity of keto, paleo, grain-free and even “pegan” (paleo + vegan) diets, plus a general shifting consumer mindset, fats are starring ingredients in creative, convenient foods. Along with these phat fats, higher protein and lower-carb combos will continue to trend across simple and easy snacking categories. New integrations of fat sources — like keto-friendly nutrition bars crafted with MCT oil powder, coconut butter–filled chocolates, snacks affectionately called “fat bombs” and a new wave of ready-to-drink vegan coffee beverages inspired by butter coffees — are busting on the scene allowing consumers to get their fat fill with convenient treats. Keep your eyes and taste buds open for popcorn made with grass-fed ghee, multiple flavours of ghee that range from sweet to savoury, plus new variations on traditional meaty snacks like chicken chips and thin, crisped beef jerky. Hemp hearts, seeds and oils are nothing new to food and body care lovers — they’re in everything from waffle mix to dried pastas. (Even baby hemp leaves have had their moment in the microgreens trends.) But a new interest in the potential benefits stemming from other parts of hemp plants has many brands looking to explore the booming cannabis biz. While CBD oil is still technically taboo (prohibited in food, body care and dietary supplements under federal law), retailers, culinary experts and consumers can’t miss the cannabis craze when visiting food industry trade shows, food innovators conferences or even local farmers markets. But there’s more to this trend than CBD. Andalou Naturals has introduced hemp plant stem cells in their CannaCell body care collection. Non-cannabis-derived sources from the endocannabinoid system (which are named after the cannabis plant that inspired their discovery), like phytocannabinoids that exist in nature, are also becoming more visible and prevalent due to the growing trend. It’s clear that hemp-derived products are going mainstream, if not by wide distribution, then by word of mouth! Eating more plants doesn’t mean you have to forgo beloved meaty flavours and textures. Plant-based foods will continue to surprise and inspire — this year taking on the meat-based snacking world of jerkies and pork rinds you may associate with the corner store and road trips. While plant-based foods aren’t exactly a new trend, our experts noted more people — even those who don’t eat only vegan or vegetarian — are exploring plant-based snacking as their palates crave adventure, want a break from meat or seek more ways to add savoury umami flavours into snacks and meals. Mushrooms like king trumpet will play a key role here, flexing their flavour and texture powers in tasty jerky, “pork” rinds and “bacon” snacks (used in both Pig Øut Pigless Bacon Chips and Snacklins Cracklins Without the Pork) to offer up a satisfying crunch. Beyond these reinvented veggies and plant-based products, vegetarians can indulge in Quevos Egg White Chips for even more snacking. The number of brands making the switch to packaging with the environment in mind continues to grow at a quickening pace. Dozens of like-minded brands in the OSC2 Compostable Packaging Collaborative have pooled their efforts to make important advances in flexible product pouches. Some companies are making commitments to ban straws, while brands like Whole Foods Market are setting up regional pilots to test recyclable strawless, sipper lids made from PET, without increasing the plastic content of a lid/straw combination. Expect to see an emphasis on reusing, with more produce departments going “BYOVB” (bring your own vegetable bag) and traditionally single-use packages going multi-use, like multi-use (and compostable!) food wraps made from beeswax, as well as waxed canvas or silicone alternatives to the usual plastic storage bags that can be used for sandwiches and snacks. Some movements start as trends, then become necessities. This is one of them. While there is something comforting and classic about a scoop of vanilla ice cream, some consumers are wanting something a little less, well, vanilla. The new pints on the block are adding a fresh take on a timeless treat with innovative bases like avocado, hummus, tahini and coconut water. Look down specialty frozen aisles and you might find plant-based frozen desserts like CocoWhip Soft Serve and ice creams with savoury swirls of artisanal cheese (and don’t think you’ll stop seeing those low calorie, high protein players in the frozen aisle anytime soon). Globally-inspired frozen desserts are taking the stage — possibly sparked by 2018’s mochi ice cream obsession and a Thai rolled ice cream craze — with icy indulgences like airy Taiwanese snow ice and Mexican nieves de garrafa, not to mention stretchy, chewy, Turkish ice creams that get their unique texture from mastic and other unique sources. Popsicles and gelatos won’t be left out of the fun — they’ll get some buzz with boozier infusions coming to market. Seaweed snacks rose to popularity a few years back and are now enjoyed by health-conscious adults and toddlers alike; however, our experts expect even more ocean influence in the grocery aisles in the year to come. Think beyond seaweed snacks. Sea greens are showing up in dishes like seaweed butter and kelp noodles while consumers are exploring new depths of ocean flavours with superfood properties like unique varietals of algae and kelp. Puffed snacks made from water lily seeds, plant-based tuna alternatives with algae ingredients, crispy snackable salmon skins with omega-3s and kelp jerkies are just a few testing the waters. A salty sea fennel and olive blend will debut on Whole Foods Market olive bars in 2019, and brands like Ocean’s Halo include kelp as an ingredient in all their miso and ramen broths, condiments and sauces. Snacking across the board will take a turn toward the fancy, and snacks, as they start to usurp the usual three-meals-a-day routine, are anything but ordinary. Snacking has become an occasion of its very own — think charcuterie or cheese boards for one, one-ounce portions of Cypress Grove cheeses paired with demi-baguettes as desk snacks and more mini meals. More takes on snacking nod to the comforting treats of your second grade lunchbox, with better ingredients. Portable snack packages will feature bites like prosciutto and aged mozzarella, and artisanal versions of classic snacks like cheese or peanut butter cracker sandwiches. Ingredient-conscious snack and treat makers are creating new packaged snacks that take us back to our treat-loving childhoods but with higher quality ingredients, some of which are updated to accommodate special diets. Upgraded retro treats will star on 2019’s shelves — candy-coated Project 7 Organic Chewies burst with intense fruit flavour and are gluten-free; Smashmallow’s marshmallow and puffed rice treats are gluten-free and made with organic sugar; Little Secrets Crispy Wafers are long crunchy rectangles dipped in fair trade chocolate.